The Complete Holiday Gift Guide For Every Parent! Yes, it has been a whirlwind of a year and the season to be jolly, fla la la la the holidays, is finally here! You must be excited to see your children gushing and dashing towards their presents. It’s especially wonderful to see the glee on your children’s faces when they open the presents to find a wonderful gift that’s exactly what they would enjoy, and not a jar of pickles from the fridge (get the Blackish reference?). If you do have a to-do list and a little one or two waiting to be showered with the right gifts, you don’t have to fret anymore, because here is a complete holiday gift guide for every parent – sorted according to the age groups – to make it more convenient and hassle-free for you. Yes! You don’t have to buy just rattles or teething cloth books anymore. After they turn a year old, their development rate is so fast that you will be amazed at how quickly they comprehend things. To engage and satisfy the increasing levels of curiosity ought to be the goal for this age group. This activity cube is a lot of fun, from all sides! It’s a great learning toy for teaching alphabets, numbers or just the simple learning of cause-and-effect. It’s a great way to keep your toddler busy! It’s especially in this age that the love for all kinds of shape sorters begins to blossom. Plus, it is delightful to see the look of accomplishment on your kids’ faces, won’t you agree? At this stage, your child is so excited with the newfound independence that they want to get into everything! A lot of unstructured play is necessary at this age, so with that in mind, the gifts ought to measure up. Doesn’t matter if they aren’t in tune, kids have a natural love for music. With a toy drum or a piano, you’ll get to hear many original compositions. This is a very simple way in which your toddler can get the satisfaction of achieving something by themselves. This is one of the classsic gifts, best given during the holidays. Your toddler will love the feeling of running them on the carpets, and across the floor. Now that your toddler is becoming more and more independent, he or she will love to test their limits. Gifts that can channel all that energy and also give fruit to their developing minds are the best ones. These are great for some realistic fun for your children. You can even buy a handy broom for the clean-up fun afterwards. With such a gift, you can open up new construction possibilities for your toddler. You could get giant pieces that can be linked together, or even snapped together. They can have a lot of fun building something out of big blocks like transport vehicles or even a house with furniture! Balls are fun at almost any age. It’s especially fun at this age as your toddler learns to throw at a target. Some can even catch! Your 3-year-old champ starts turning into a slightly complex individual at this point. With an attention span that’s longer than before, you have a whole lot of opportunities to dig in and get the best gifts for him/her this holiday. Board games that test their concentration could be exciting and fun. Get the ones that have the most number of pieces so your toddler will be able to create more mix ’n match items. 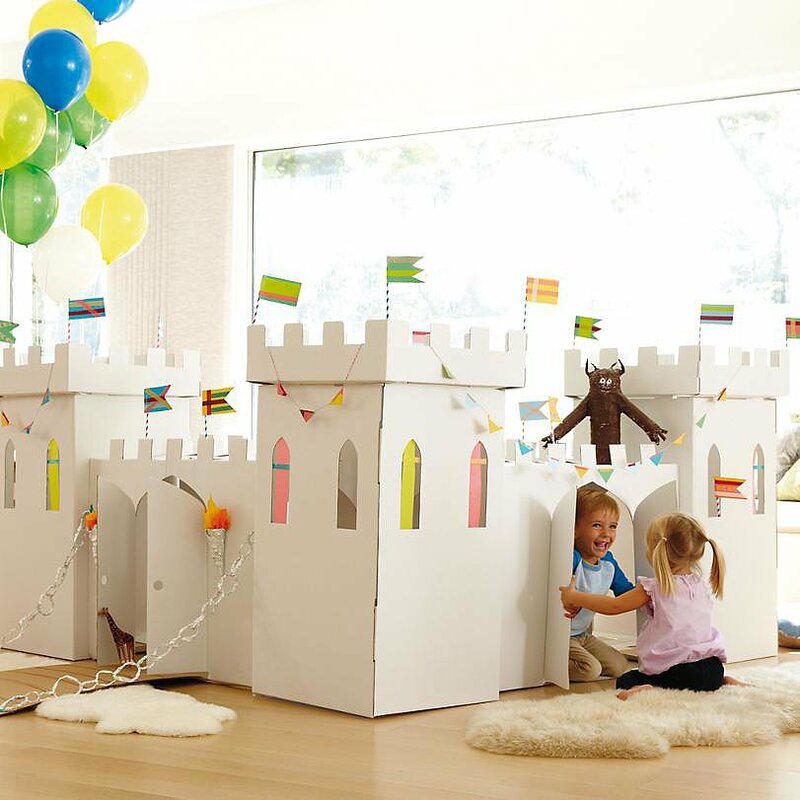 You could get the cardboard kind that has a lot of space for a fun-filled adventure for your toddler and their play dates! There you go! We’ve presented you with some creative gift ideas to make your little ones happy this December. Let us know which one(s) you’ve gone with (or add your own suggestions in the comments section below)!